Bed And Breakfast1506 sq. ft.
B & B La Bella Balla-rò is a new and cozy establishment located just a few meters from the Arch of Cutò (entrance and historic gateway to access one of the oldest markets in the city, Ballarò market). - Based on the inclinations and the willingness of the clientele, they will organize gastronomic and cultural events accompanied by acoustic concerts to ensure that the stay at "B & B La Bella Balla-rò" remains an experience and a cultural bag to be taken away greetings to our beautiful Palermo !! The spacious, refurbished rooms offer all private bathrooms, air conditioning, TV and wi fi. 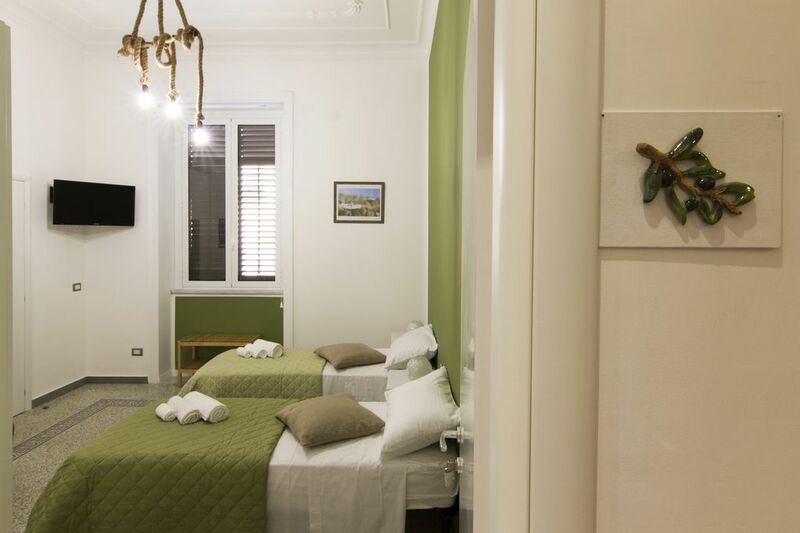 Antique floors and ceilings offer the perfect combination of modern and vintage with huge openings (windows) in the olive grove on Via Torino, and in the wine and citrus room on the main street of Palermo's historic center, via Maqueda. Breakfast between Sicilian confectioners and organic products will be served from 7:30 to 10, according to the taste and customer needs (sweet, savory, gluten-free), specifying where necessary the reservation.